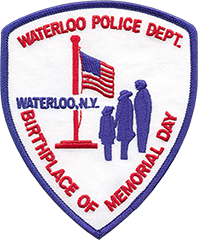 The Waterloo Police Department reports, officers arrested Jarel M. Wright, age 33, of 324 E Main St Waterloo, NY for Driving While Intoxicated, Driving with .08 BAC or higher, failure to stop at a stop sign, failure to signal a turn, and speeding. The charges stem from a traffic stop where it is alleged that Wright failed to stop at a stop sign and signal a turn on North Road in the Village of Waterloo. Wright was stopped by officers on East Main Street and subsequently arrested for DWI. Wright was issued traffic tickets and is to appear in the Village of Waterloo Court on 4-17-19 at 5:00pm. The Village of Waterloo Police Department reports that on February 24th, 2019 at 5:27pm, officers arrested Vaughnee G. Curry, 19, of 204 Hier St Syracuse, NY. Curry was charged with one count of Unlawful Possession of Marihuana. The arrest stems from a traffic stop in the Village of Waterloo, where Curry was found to be in possession of marihuana. Curry was issued an appearance ticket and is to appear in the Village of Waterloo Court on March 20th, 2019 at 5pm to answer the charge. The Waterloo Police Department reports, on February 17th, 2019 at 4:00am, officers arrested Steven J. Marchitell, age 48, of 970 St Rt 88S Newark, NY. Marchitell was charged with Burglary 2nd (C Felony), Criminal Mischief 4th (A Misdemeanor), and 2 counts of Harassment 2nd (Violation). The charges stem from the report of a domestic dispute where it is alleged that Marchitell unlawfully entered a Village of Waterloo residence, damaging property, and striking 2 residents. Marchitell was secured at the Seneca County Correctional Facility to await Central Arraignment Court. On December 30th, 2018 at 12:13pm, the Waterloo Police Department arrested Scott B. Heers, age 25, of 5854 Rt 96 #227D Romulus, NY. Heers was arrested on a warrant for Petit Larceny, following a complaint alleging that he stole property from a Village of Waterloo residence on September 24th, 2018. Heers was held in the Seneca County Correctional Facility to be arraigned on the charges at Central Arraignment Court. On December 29th, 2018 at 2:41pm, the Waterloo Police Department and Waterloo Fire Department responded to the report of a structure fire at 107 E Elisha St Apartment 3, in the Village of Waterloo. The resident reported a fire that started in a clothes dryer. The Waterloo Fire Department extinguished the fire, which was contained in one room, but there was smoke damage through out the apartment. Assisting at the scene were Seneca Falls, Fayette, and Border City Fire Departments, North Seneca Ambulance, and the Seneca County Sheriff’s Office. The American Red Cross also responded to assist the resident of the apartment. After investigation, the cause of the fire was determined to be accidental. On Thursday, November 15th, 2018, at 1:30pm, the Waterloo Police Department arrested Kimberly M. Delair, age 31, of 305 E Elisha St Waterloo, NY, for Petit Larceny. Delair is accused of stealing money from a Village of Waterloo business between August 24th and September 15th, 2018 while she was employed at the business. Delair was issued an appearance ticket and is scheduled to appear in the Village of Waterloo Court on December 5th, 2018 at 5:00pm.